Clint Reed had been Rubio's chief of staff since Rubio won re-election. 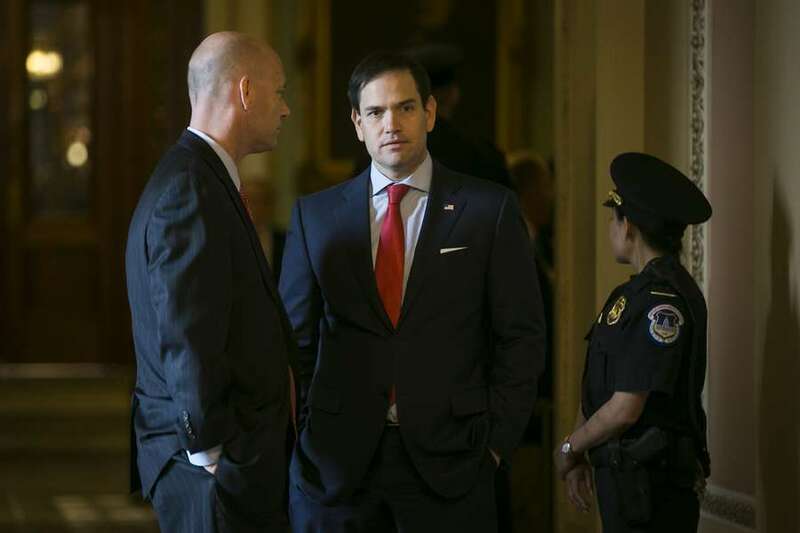 WASHINGTON – Sen. Marco Rubio has fired his chief of staff, Clint Reed, over unspecified "allegations of improper conduct." Rubio issued a statement shortly before midnight Saturday that said he had been made aware of the situation earlier in the day. Reed worked on Rubio's presidential run, managing the Iowa and Florida primaries, then his re-election campaign. He was then made chief of staff. Rubio's office has not responded to questions from the Tampa Bay Times about the situation, and his statement does not provide specifics. UPDATE: Rubio's office referred to part of the statement that read "pursuant to the wishes of those victimized by this conduct, we will not be disclosing any further details about the incidents which occurred." We have also asked Reed for comment. "Yesterday afternoon, I was made aware, for the first time, of allegations of improper conduct by my Chief of Staff while under the employment of my office," Rubio's statement read. "These allegations were reported directly to me instead of our General Counsel or the Congressional Office of Compliance. Immediately upon receiving this complaint, I along with our General Counsel, began an investigation of this matter. "By early this afternoon, I had sufficient evidence to conclude that while employed by this office, my Chief of Staff had violated office policies regarding proper relations between a supervisor and their subordinates. I further concluded that this led to actions which in my judgement amounted to threats to withhold employment benefits. "This evening, I traveled from Florida to Washington D.C. and terminated his employment effective immediately. "We have taken steps to ensure that those impacted by this conduct have access to any services they may require now or in the future. Pursuant to the wishes of those victimized by this conduct, we will not be disclosing any further details about the incidents which occurred. We will be formally notifying the appropriate Congressional and Senate administrative offices of this matter when they return to work Monday morning."